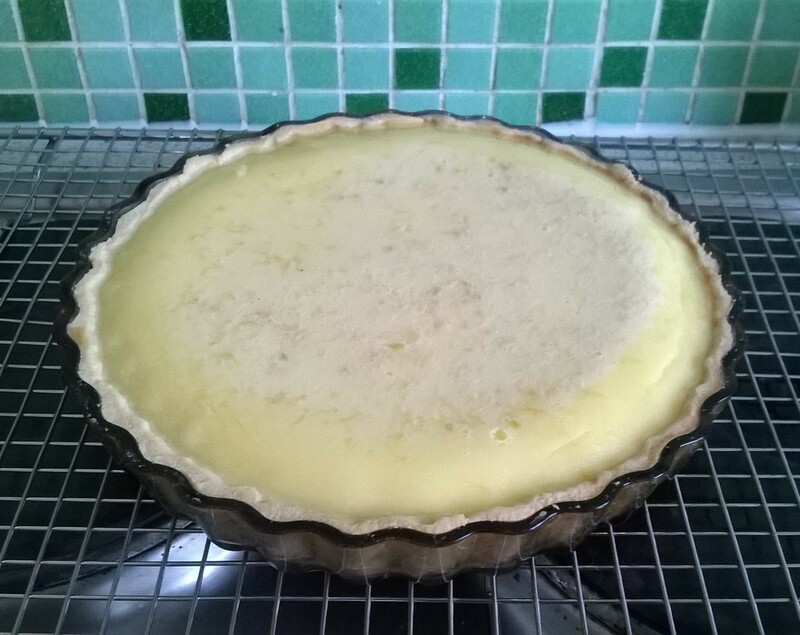 Inspired by last weeks GBBO, this weekend I made a no-bake lemon cheese cake! Very simple but Y-U-M-M-Y!! Where is the year going?! August already! I made a lovely traditional cake in late July for pudding after one of our roasts'. It was a whole orange cake, yes, WHOLE orange cake: skin, pith, pips, the lot! And it was beautiful!! The icing was icing sugar mixed with freshly squeezed orange juice! We had some friends over today for a BBQ, so for dessert, i decided to make few alternative puddings so to suit everyone. So here are the results. From left to right: Sheep Cupcakes, Custard and Blackberry Tart and Individual chocolate mousse's with chocolate spoons! Every sunday, my husband and I have a traditional Roast Dinner, it is also the only day of the week we have a pudding, made from scratch by myself. This was the pudding today, Tarte du Citron (aka Lemon Tart), served with hand picked blackberries and single cream. Scrummy! Not a soggy bottom in sight! Well, as a surprise for my father-in-law, my husband and I made him a very 'special' cake for his birthday this year. A hot tub cake! Rich chocolate cake with a white chocolate butter cream filling, kitkats and hand sculptured women by yours truely! I know it's not perfect, and there are many things I would do differently if I was feeling better, but here are a couple of photos'! My apologies if you find this a little rude. With Easter just around the corner I wanted to make something I have not made before. I know that you can buy them very cheaply in supermarkets but due to my huge ove for baking, I thought I would give them a go! So here we are my home-made Hot Cross Buns! I must add that these weren't the best of the bunch, those were eaten quite quickly whilst stil warm! These were a bit too big, so next time I will make smaller ones. These were glazed with warm honey! Mmmmm! There are so many birthdays and events coming up in the early part of the year. My first cake creation this year was for my sister-in-law. My husband and I agreed that a minion cake for her would be perfect as she has a thing about Minions! As far as cake decorating goes, it was one of the easiest cakes I've made! However, I am a stickler for proportions! Being a copy of a well known character, the proportions have to be right. Some cakes that can be found on the internet are a little obscure in their proportions - you know what it is meant to be, but it's not quite right. As I said it is my first and I will definitely change things the next time I make one. As a cake baker there are ALWAYS things I would change about every cake! Well this year I thought I would treat my husband to a special valentines meal, after all it was our first Valentines as man and wife! So I went to the local butcher and bought 2 cuts of beef fillet and made individual beef Wellingtons. I do not like mushrooms so instead of using these in the Wellingtons, I used bacon and spinach between the beef and puff pastry. Very tasty, will definitely be making these again! For pudding, I wanted to make something inspired by our honeymoon in Europe and the patisseries! So I set raspberry jelly and made some custard from scratch and set this too. Then I took heart cutters and raspberries and made a very unique dessert. Muffins using the blackberries my husband and I picked this year! Hopefully next year we willbe able to use blackberries from our own shrub in the garden! Here is a little something I rustled up for a pudding this week, upside down plum cake using the Victoria Plums from the tree in our garden! Just a simple blackberry cake, still slightly warm when eaten! It didn't last long! This week I decided to bake some bread. By 10am four loaves of bread were proving. Here are two of the four I made! A batch of white sesame seed rolls and an onion loaf! The onion loaf was delicious, still warm with a bit of butter! Yum! Home-made pizza, including the dough! Yum!